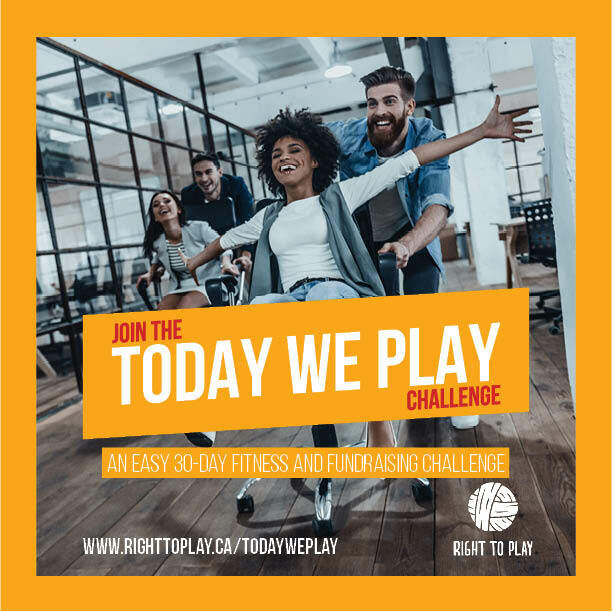 The Today We Play Corporate Challenge is an easy 30-day fitness and fundraising challenge in support of Right To Play. Right To Play uses play in all of its forms – games, creative play, sport, free play – to improve the lives of children and youth affected by conflict, disease and poverty. 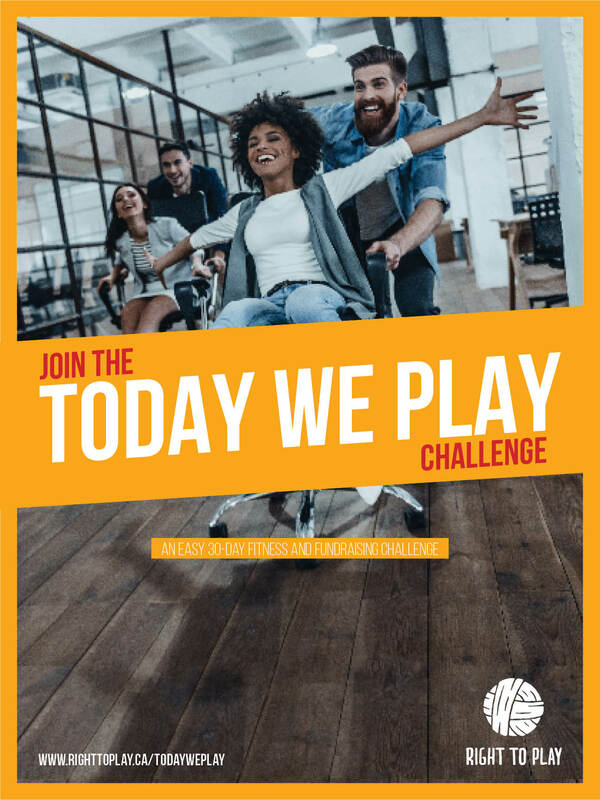 When you register for the Today We Play Corporate Challenge, you're joining a team of passionate Canadians who are working together to change children's lives around the world and at home in Canada. 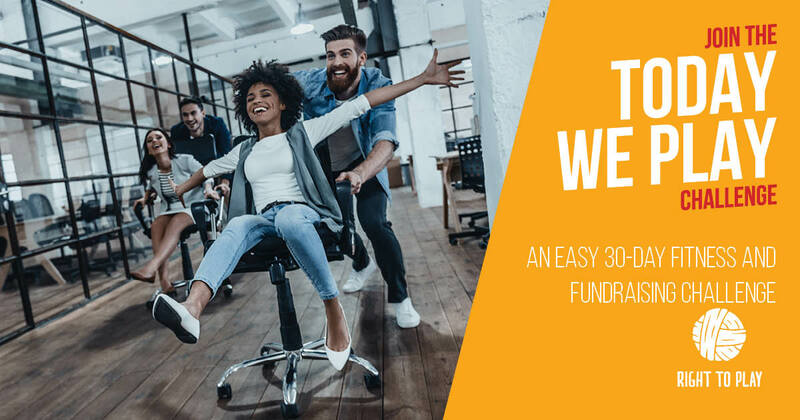 Not only will you have the chance to get active and have fun with your colleagues, but the funds you raise will bring Right To Play programming to more than one million children worldwide! Every dollar you and your colleagues raise will help empower children through the power of play. Be sure to check out our handy resources for more instructions, fundraising ideas, tips and more! Interested in learning more? 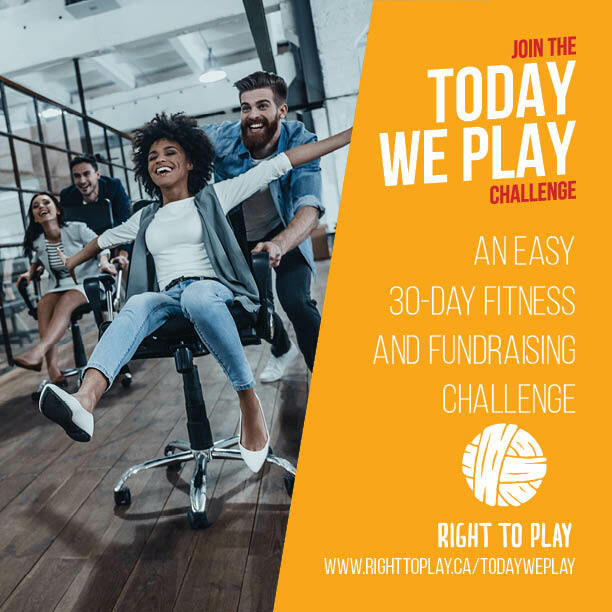 Email Roz Fanaieyan at rfanaieyan@righttoplay.com for more information. En tant qu'ancien participant de Right To Play, Malual est devenu un symbole d'espoir.